3 loops to ride. beginers loop is 1 mile long round trip that is twisty and fun.that flows into the creekside section,2 miles long one way,moderate dificulty,rocky,great veiws of laghfrey creek,big climb at end. finish with the upland loop,also intermediate,about 2 miles long with great veiws from 200 feet above the creek. Don't forget to head down Last Chance, cross the creek, and up to the other side. Turn left on Fink's Road and ride about a mile until you see the Wormhole and Eagle's Nest trail markers. Trails are currently being built on Wormhole. Review: Just rode this in July 2018, Nice flow trails, well laid out with mostly short climbs and descents. They have a whole new trail system that requires crossing a wide creek to access. Some of these have a little more advance riding with some small rock features. Over all a nice trail system. They definitely need to post some new photos showing summer growth, the new trails and the creek crossing. 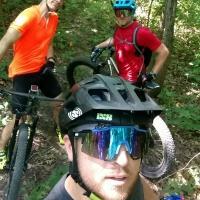 Review: Great trail system and more trails keep getting added all the time! Check out the newest on the Hassmer Hill side---bring your climbing legs and get ready for some awesomeness!! Review: These are fantastic trails! The SIMBA volunteers keep them in great shape. There is something for everyone at Versailles. Review: Really great singletrack loop trail system. 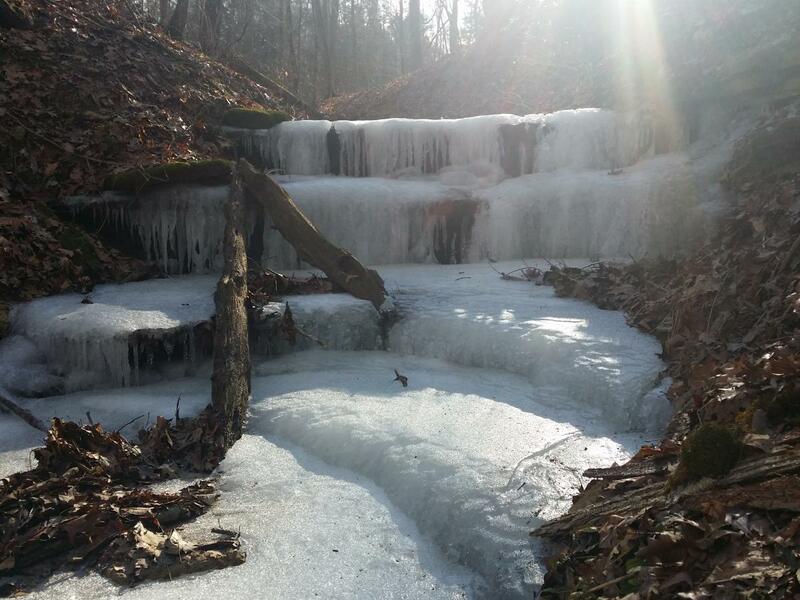 Nothing too technical, but really captures the terrain of southeastern Indiana. Worth the drive! Review: This trail system was a pleasant surprise. Some parts are very well constructed with plenty of berms and rollers. You won't find a bunch of tech features, but Cliffside has rocky ledges and some exposure that you'd never expect to find in Indiana. This trail system doesn't measure up to the truly great places, but it's definitely worth a stop. Review: A fun fast trail. Climbs aren't bad, flows well, not to technical for a novice rider to ride. Plenty of trails to get as much or as little riding in as you want. Review: Easily the best trail system in the Cincinnati area. You can ride all day here, it just flows and connects up with other trails. Cliff side is a little intimidating the first time. The drop would severely hurt you if you fell. Grandview is a fast XC trail and is really well put together. It does cost $9 to get into the park though, kinda pricey but they have a large swimming pool if you wanted to swim after riding. Review: Great first experience on this trail system...a little wet but course was fun. Review: pretty much awesome!!! trails were in great shape and the trail crew has this place looking really nice! Versailles State Park MTB Trail 4.56 out of 5 based on 26 ratings. 26 user reviews.